Morton Marcus (BA, ’61) recently spoke in Goshen, Ind., as part of the Wake Up! Goshen! series. Robert Jordan (BGS, ’77) retired after 43 distinguished years in television. He was a veteran reporter and newscaster on WGN TV in Chicago. Dennis Vidoni (MA, ’72) published two books: Canoeing the Kashaskia: A Father & Son Short Story and White Shirts in the Wilderness: A Brother’s Survival Story. 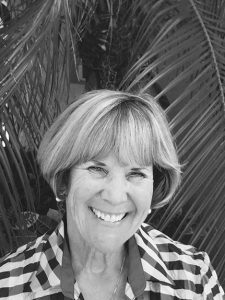 Vidoni has enjoyed a 26-year-career in the field of psychology at the University of Wisconsin at Oshkosh, Kansas Benedictine College, Regis College in Denver, and the University of Illinois Urbana-Champaign. Vidoni is retired and lives with his wife Mary in Urbana. Robert Lowen (MPA, ’88) recently announced his retirement as chief of the Woodstock, Ill. Police Department. 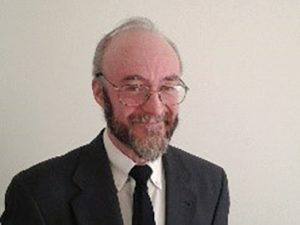 Barry M. Balik (BGS, ’85), a computer science major, retired after 30 years of service as an information technology service coordinator for the City of Chicago Department of Innovation and Technology. Brent Coppenbarger (MM, ’83), director of woodwinds at the Cline School of Music at North Greenville University, wrote his second book, Fine Tuning the Clarinet Section: A Handbook for the Band Director. His first book, Music Theory Secrets, was published in 2014. Euclid Williamson (MPA, ’82) recently was honored by Washington University in St. Louis with an honorary doctor of humanities degree. Williamson is the founder of Target H.O.P.E., a college prep academy, which works to enhance educational opportunities for minority students attending public high schools in the Chicago metropolitan area. Merle Dandridge (BFA, ’98) is a lead in the new Oprah Winfrey Network drama Greenleaf. Variety newspaper wrote that the “long-term effectiveness of Greenleaf is due to the fine work of star Merle Dandridge.” During her career, Dandridge has been involved in television, stage, film and voice-over work for video games. Dorienne Preer (BGS, ’94) was hired as Oak Forest’s human resources manager, a newly-created position. A 31-year veteran of human resources, he worked for the Chicago Metropolitan Agency for Planning for the past 10 years. Gregory Timmerman (BBA, ’94) was promoted to senior field premium auditor at insurance company Acuity in Sheboygan, Wis. He started working with Acuity in July 2002 as a premium auditor. Kurtis Gildow (MM, ’07) was promoted to dean of Programs at Chicago’s Merit School of Music. A performer and an educator, Gildow has taught at Concordia University Chicago and North Central College. He freelances as a tubist. Gildow uses his professional experience to ensure that children aren’t hampered by obstacles in their quest for a music education. Janice Glenn (BA, ’05) was appointed by Illinois Gov. Bruce Rauner as director of the Illinois Department of Human Rights. Glenn previously was director of Diversity and Recruitment in the Office of the Governor. 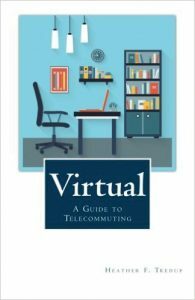 Heather Tredup (MMC, ’02) recently wrote the book, Virtual: A Guide to Telecommuting, an informative guide about successful telecommuting. Gilbert T. Domally (BFA, ’15) was listed among “The New Hot Faces of Chicago Theater in 2016” by the Chicago Tribune. An accomplished performer, Domally has been seen in Little Theatre on the Square’s Big River and Little Shop of Horrors, as well as Bailiwick’s production of The Wild Party. Aaron Latterell (BFA, ’14) starred in the Drury Lane Theatre’s production of Deathtrap. Jessica Grant (MA, ’13) was named director of Community Outreach and Performing Arts Education at the Yadkin Cultural Arts Center. She is an accomplished director with over 10 years of experience in theater. Michael Miserendino (MA, ’13) is a high school English and theater teacher at Bartlett, Ill. High School, where he leads the theatre program and directs the school’s productions. 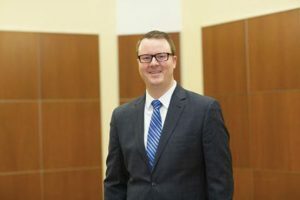 His most recent production, The Purple Rose of Cairo, was the first group interpretation production to advance to the Illinois State competition in Springfield, Ill.
Forrest Ransburg (BM, ’12) was appointed music director at Tree of Life Unitarian Universalist Congregation in McHenry, Ill.
We’d love to hear what you’ve been up to! Please send us your photo and an update! Please include your name, address, email, major and graduation year.